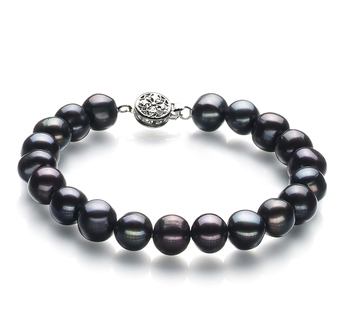 A black Freshwater pearl bracelet is going to make the perfect present for an elegant woman whose taste in jewellery is very sophisticated. These kinds of jewellery items make the perfect accessory that can be worn during the day as well as the key piece when a woman is going to be attending a more formal affair. In fact, any one of our bracelets would look fantastic when you pair it with a little black dress. As you take a look at our collection you will see a number of different styles of bracelets to choose from. So if you are not sure what style to buy then please read below the information we provide regarding the styles on offer. 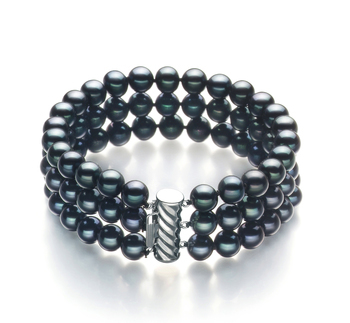 A black Freshwater pearl bracelet will add a touch of sophistication to any outfit. Our guide below should help you to better understand what style of bracelet is going to suit you the best. A very minimalistic piece of black Freshwater pearl jewellery that women can now wear and provides women with the easiest way to incorporate pearls into their wardrobe. 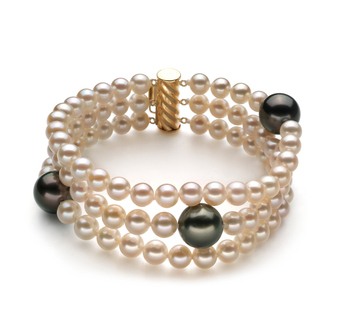 Pearls in a bracelet that measure between 6mm and 7mm are perfect for pairing with more casual outfits. Whereas a bracelet that contains pearls measuring 8mm or more will look beautiful when worn with semi-formal or formal outfits. 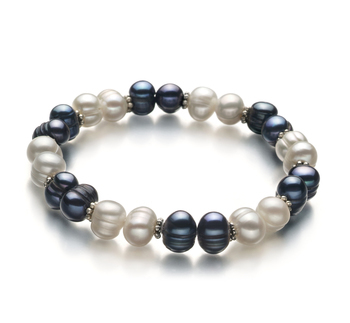 A double-strand pearl bracelet looks very elegant and distinguished on the wearer’s arm. 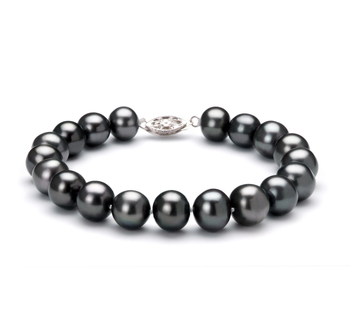 This is the perfect piece of black Freshwater pearl jewellery to be worn on a very special occasion, such as a wedding anniversary or a birthday. This is also the kind of bracelet that you will find it easy to accessorize with pearl jewellery that matches it. This is the kind of bracelet that more refined women like to wear as part of their business attire or to a swanky party. 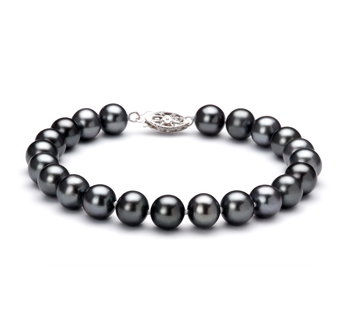 These types of black Freshwater pearl bracelets come with a very distinctive clasp that can help to make even the most conservative of outfits look glamorous and will add a touch of polish to an elegant formal dress. 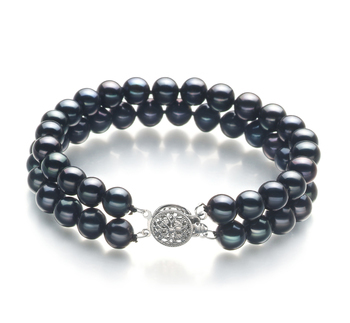 A black Freshwater pearl bracelet that also includes some white pearls as well really will add a touch of glamor and pizzazz to any outfit. Such a bracelet would look wonderful when worn with a sharp business suit with a crisp white shirt or a little black cocktail dress. 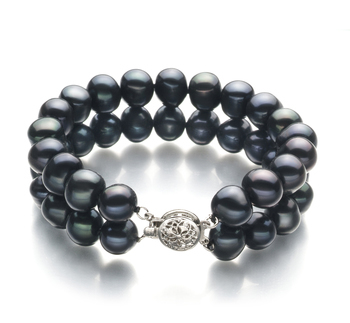 Not all black Freshwater pearl bracelets are fitted with a clasp and some women tend to find that these ones are more comfortable to wear. They are a lot easier to put on and take off as they simply slide over the hand. These types will make the perfect gift for a woman or a girl who is always on the go and needs to create a more polished look in a very short space of time. 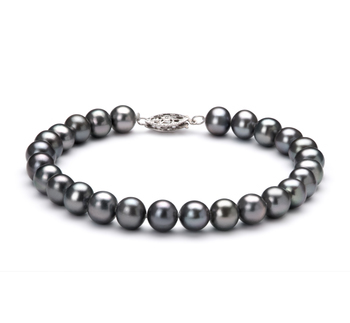 However, the adding of a yellow or white gold clasp to a Black Freshwater pearl bracelet adds more value to it and gives it a more sophisticated look. This is the type of bracelet a woman should be wearing in more formal situations such as to the office or to a party. 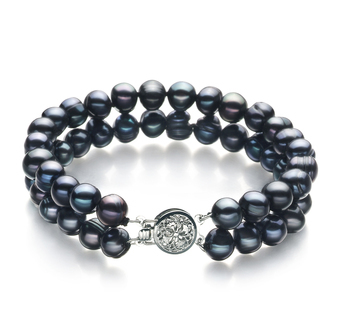 A black Freshwater pearl bracelet will prove to be the perfect present to give to someone on any of the following occasions. A single strand bracelet would be suitable for presenting to any young lady on her birthday, whereas a double strand one would look lovely on the wrist of a more mature lady. Whatever style is chosen these bracelets make the perfect gift. You may find that presenting your teenage daughter with one of our black and white bracelets is warmly greeted as they should be able to accessorize with their favorite outfits no problem. Whereas more mature women who are likely to be attending more formal events such as business meetings will appreciate the sophistication of one made up only of black Freshwater pearls. 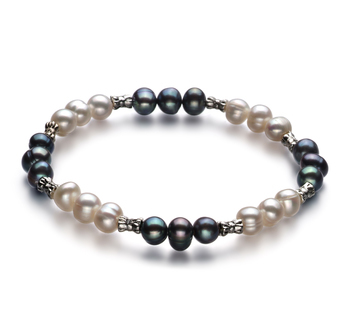 A black Freshwater pearl bracelet is a very unique piece of jewellery, but it is also very practical and would make a wonderful present for your daughter on her graduation day. Think about choosing a bracelet that comprises small pearls that measure 6-7mm in diameter as they will look flattering when she wears them with casual attire or semi-formal outfits. 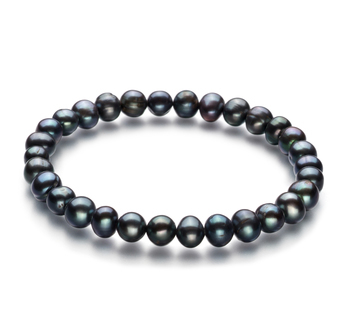 This is the perfect occasion for you to present your wife with a beautiful black Freshwater pearl bracelet to add to her jewellery collection. As already discussed this types of pearl jewellery are very versatile and are easy to wear with a wide array of different outfits. Why not surprise your significant other with one of the bracelets in our collection. 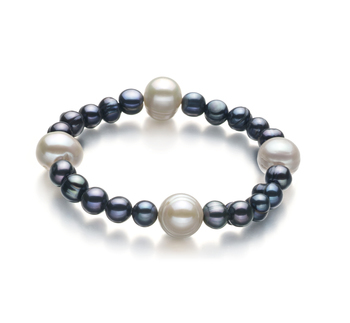 Opt for one that is a mix of black and white pearls if they have a medium to dark complexion. Whereas a bracelet that is made up solely of black pearls is going to look striking on your partner if she has a paler complexion and light colored hair.